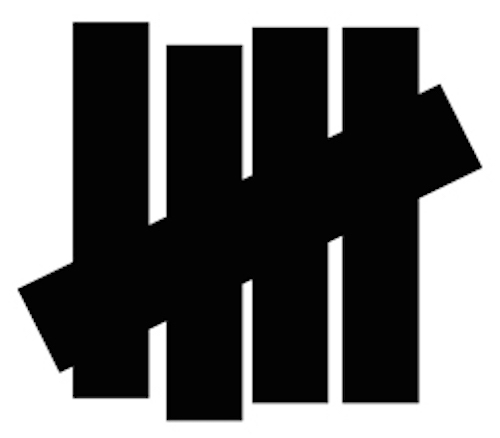 Just as notes are the rhythm symbol of melody, harmony marks are the rhythm symbol of harmony. 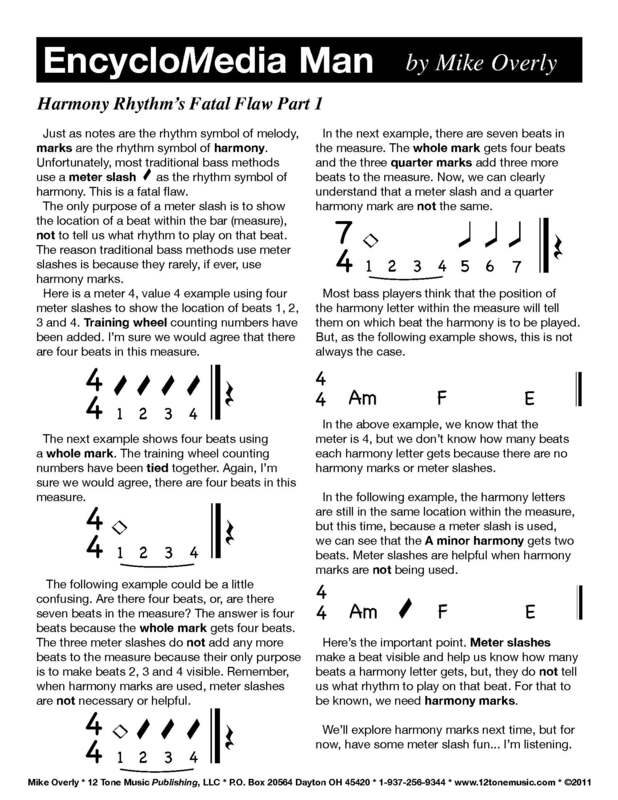 Unfortunately, most traditional guitar and bass methods use a meter slash as the rhythm symbol of harmony. This is a fatal flaw. The only purpose of a meter slash is to make a beat visible, they do not help us in knowing what rhythm to play on that beat. For that to be known, harmony marks are needed! 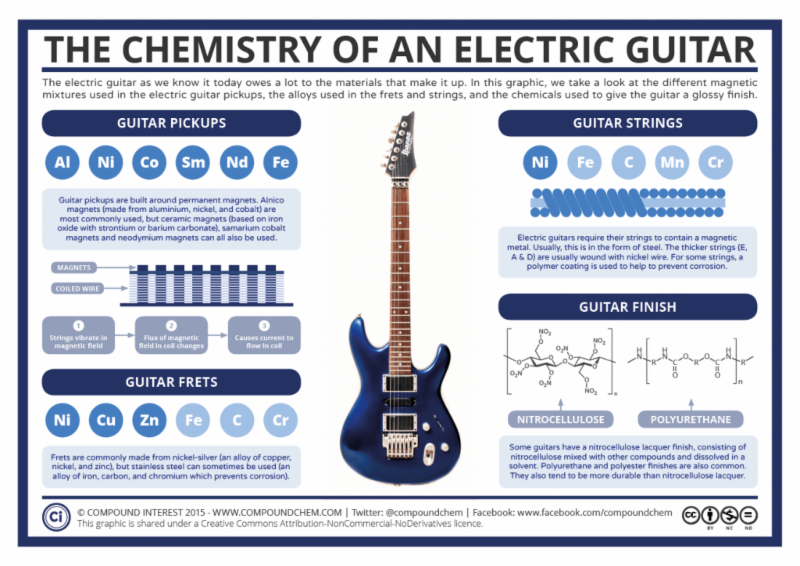 You’re gonna wanna read this latest 12 Tone Music Newsletter ~ Electric Guitar Chemistry ~ written by two-time GRAMMY® Nominated Music Educator and author of Guitar and Bass EncycloMedia Mike Overly. You are currently browsing the 12tonemusic blog archives for December, 2015.